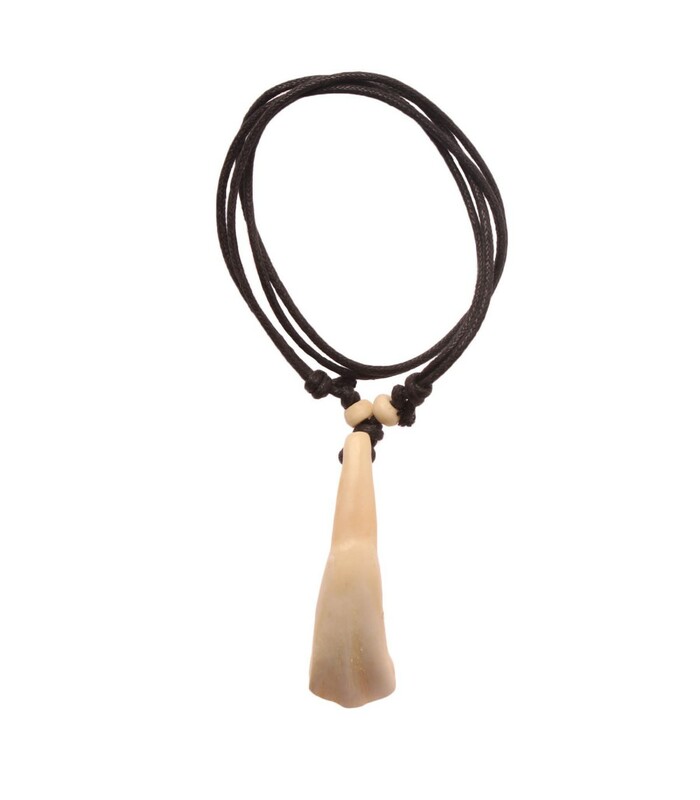 A native handmade single buffalo tooth necklace. 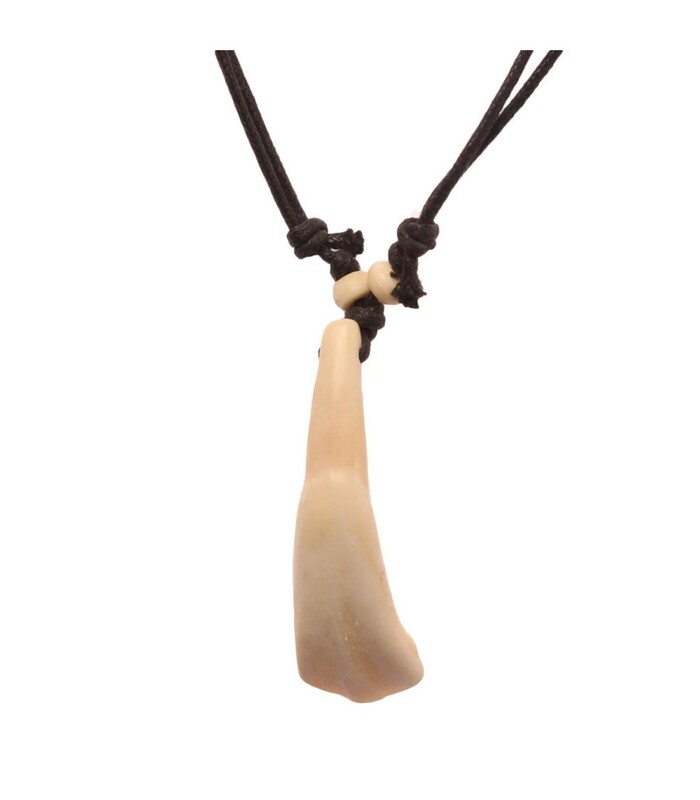 The tooth is hold in place with bone beads and knots. The necklace is of black wax cord. The buffalo is an important animal with powerful meanings to the Native Americans. The buffalo represents unselfishness and heart full giving.